It is so true! Spending time with the horses always makes me feel better . . . except when the problem is the horses! 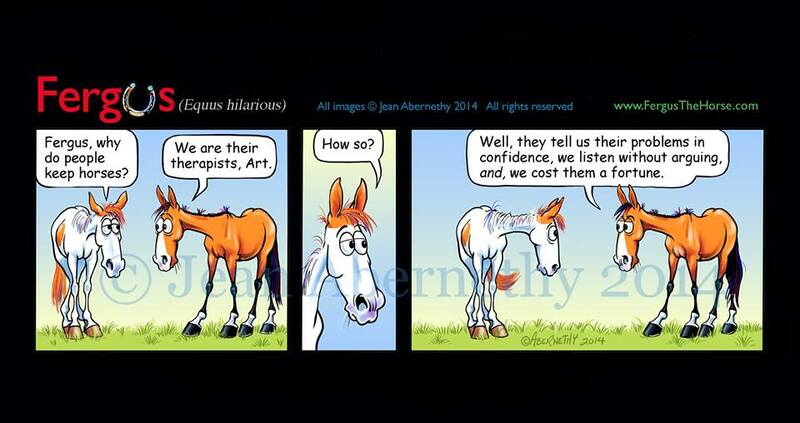 I used to think that horses were a “less expensive” form of therapy that seeing a therapist. However, when I thought about it rationally, I realized that horses definitely are more expensive. However, if you take into consideration that your horse expenses also cover your health club costs, maybe it evens out. Cartoon from http://www.fergusthehorse.com. Is your horse sending you a message?